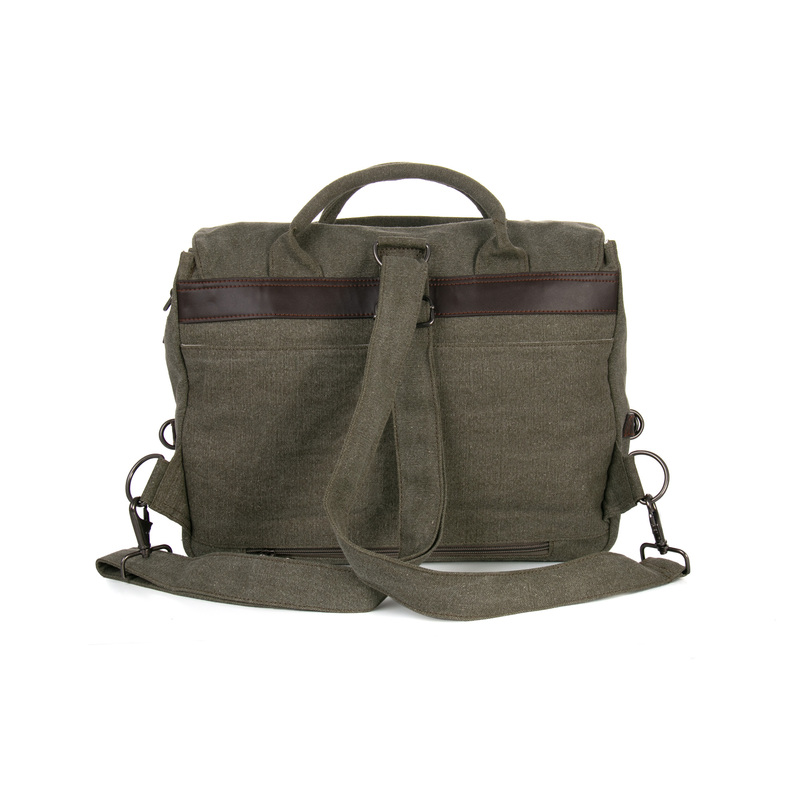 This environmentally conscious multi purpose Sativa Hemp/cotton mix Messenger Bag, can be used as a shoulder bag, briefcase or as a rucksack by changing the strap positions. Not only is this shoulder bag completely environmentally friendly but by simply changing the strap positions this shoulder bag can be used as a briefcase and rucksack. 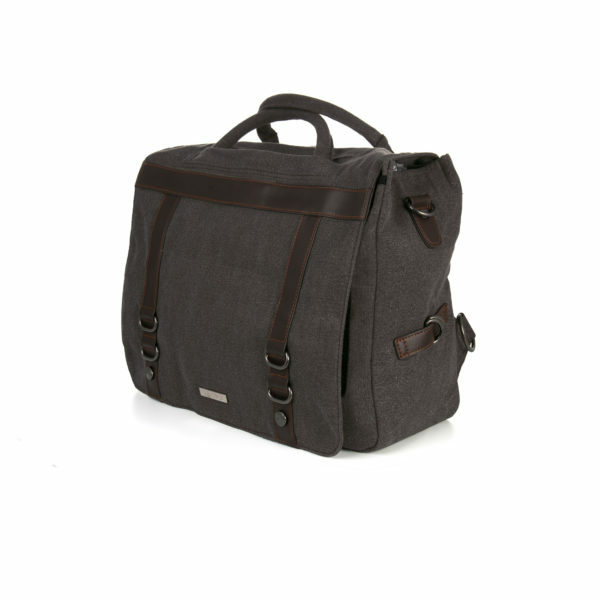 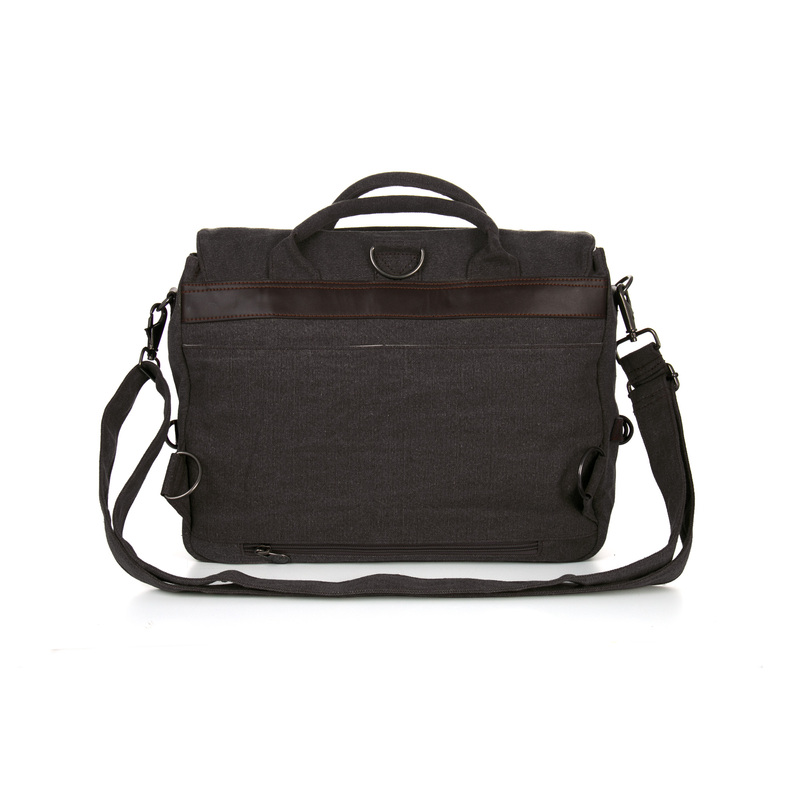 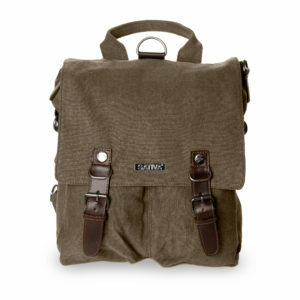 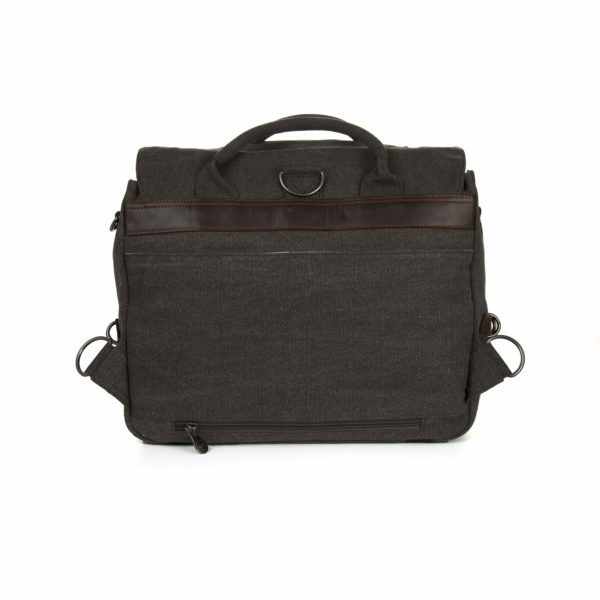 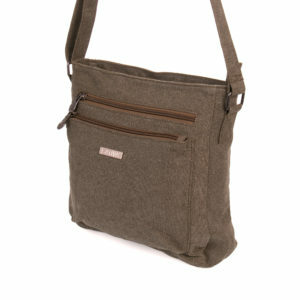 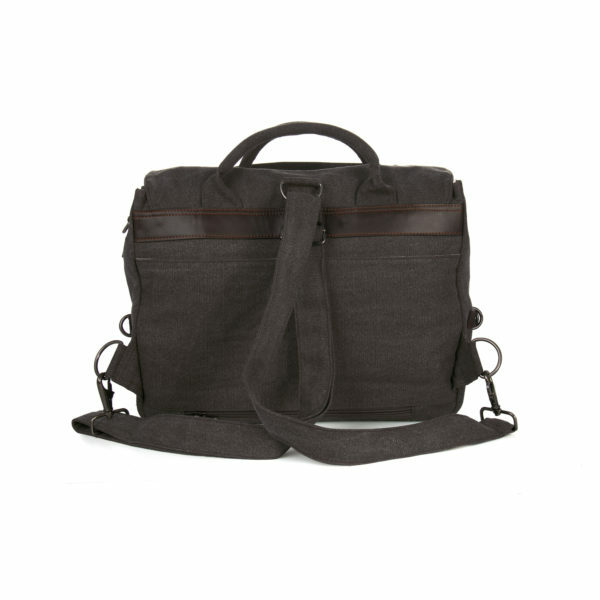 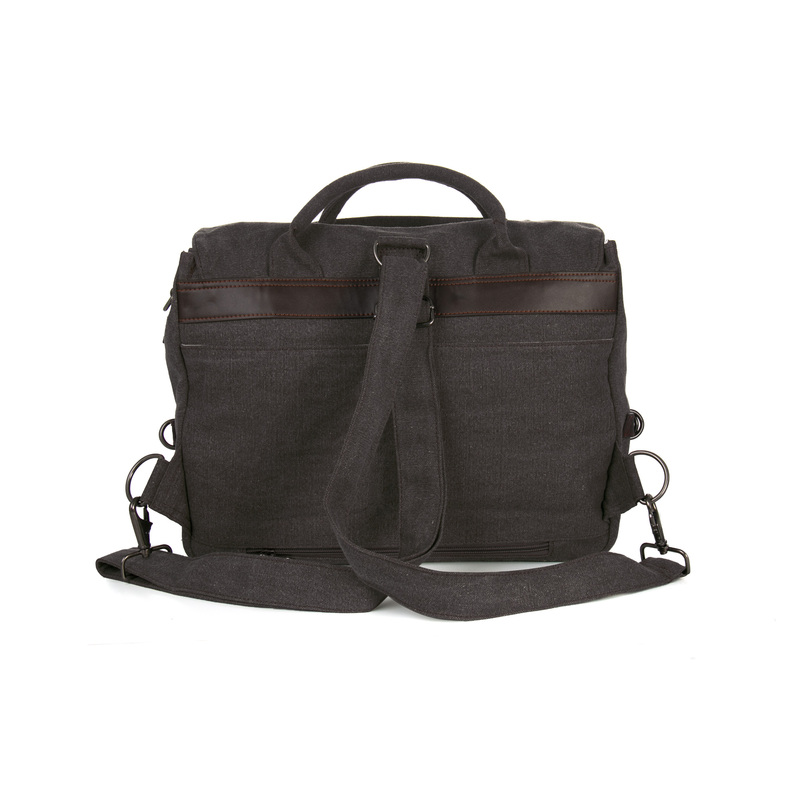 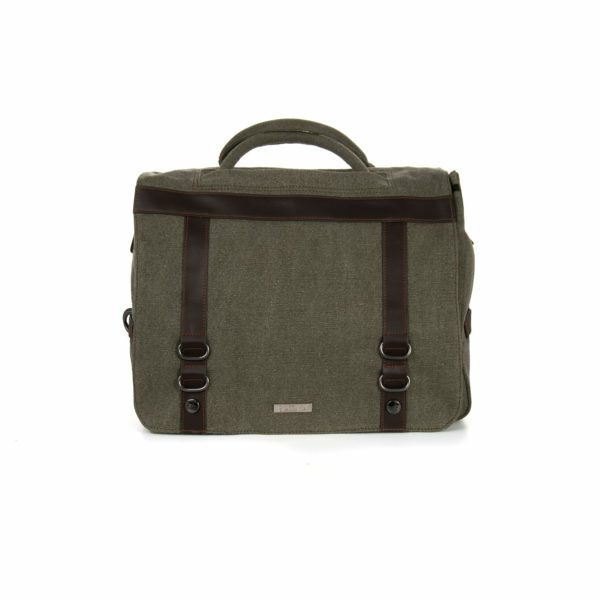 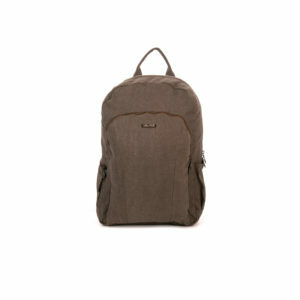 This bag offers you maximum organization use it to carry your laptop, study books or even as a casual briefcase. The adjustable shoulder straps make sure you’re firmly fixed in absolute comfort. The magnetic locks make it easy to open and close pockets. 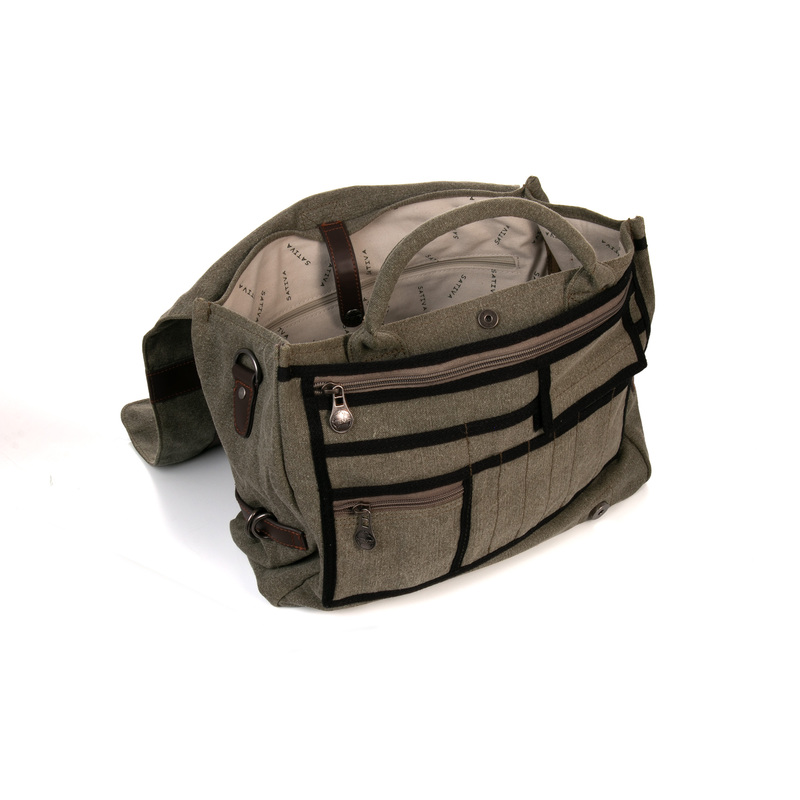 Use the Sativa key holder to provide quick and easy access to your keys and keep your Sativa bag interior in pristine condition, unzip the bottom zip of the rear pocket allows you to feed the bag onto a telescopic trolley handle, when it gets too heavy.